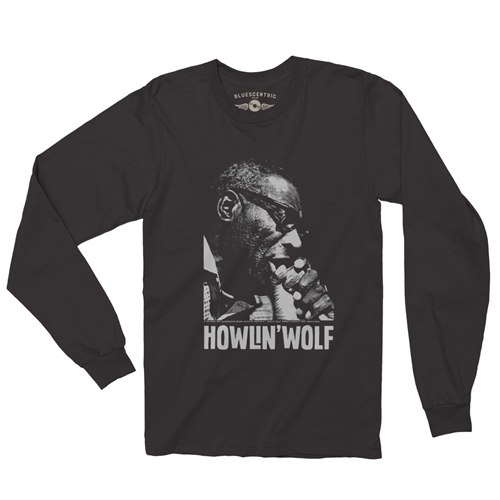 Bluescentric Brand's officially licensed Howlin Wolf Long Sleeve T-Shirts are available in pre-shrunk 6oz 100% cotton (athletic heather 99%) sizes up to 5XL! 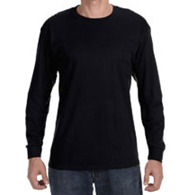 Double-needle stitched sleeve and bottom hem. Photograph taken by Terry Abrahamson in 1974. Copyright © 2017. All rights reserved, licensed by Bluescentric Brand.